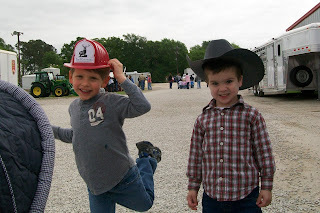 We went to preschool day at our local fair this week. We were a little late getting there as we were waiting for Brady to wake up from his morning nap, so we missed the puppet show and magic show, which really disappointed Dawson. But we still had a great time exploring the other fun features of the fair. 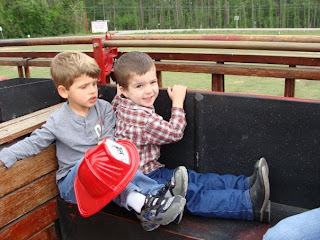 We rode on an old fire truck, checked out a great big tractor, and visited the petting zoo. We had some really great company and it was fun to just spend time with friends. 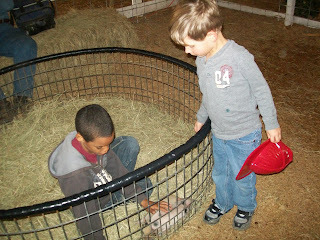 Dawson and Jay at the fair. Riding in the fire truck. 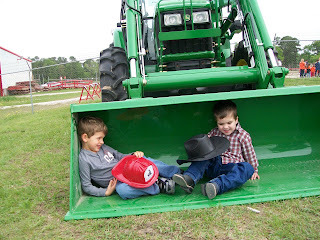 Such a cute picture of Dawson and Jay hanging out in the tractor. 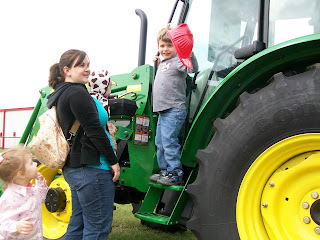 Dawson climbing on the tractor. 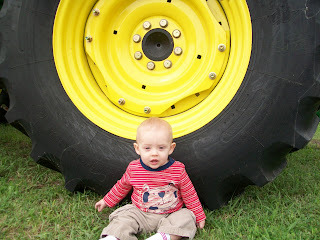 Brady looking very small sitting in front of the giant tire. 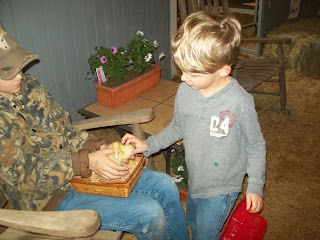 Petting a fuzzy little duckling. 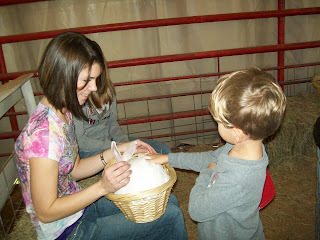 Petting a very large rabbit. 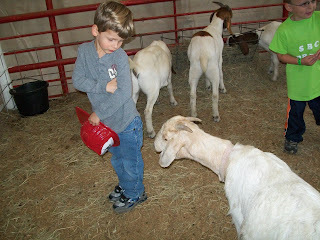 Dawson was a little apprehensive of this goat that kept following him around and sniffing him.